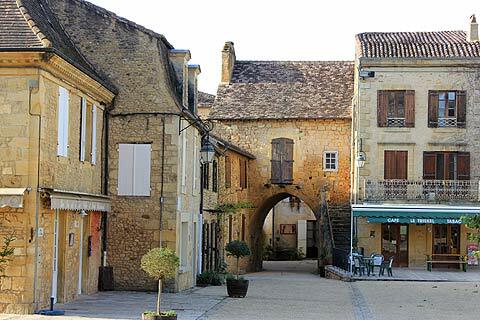 Cadouin is an attractive village a few kilometres south of the river Dordogne, in a wooded valley between Bergerac and Sarlat. 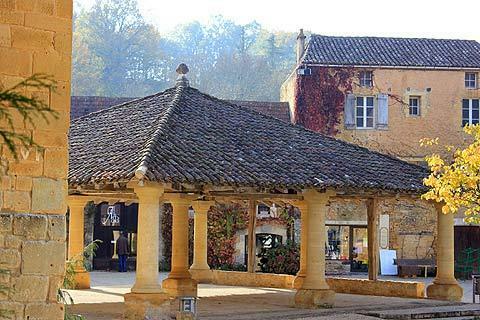 The village has been here since the 12th century, when a community of Augustinian monks was established here. 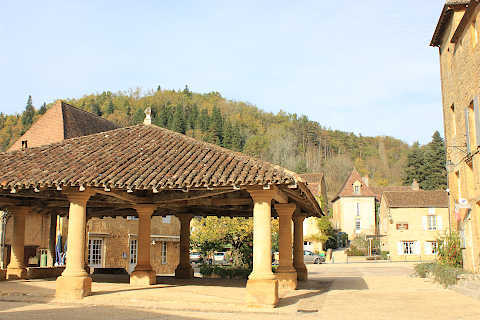 The centre of the village is around a small central square with a medieval market hall and a famous abbey. Cadouin continues a little way up the hill in both directions and although small is a very pleasant place to explore. 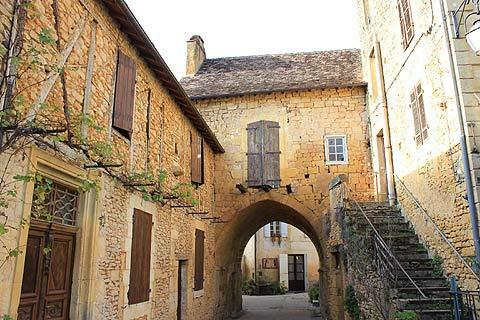 In the south-west corner of the square there is a passage that leads to a medieval arch, once part of the defences that allowed entry to abbey complex. The Porte Saint Louis was built in the 12th century: originallly there were three of these gateways but this is the only one remaining today. 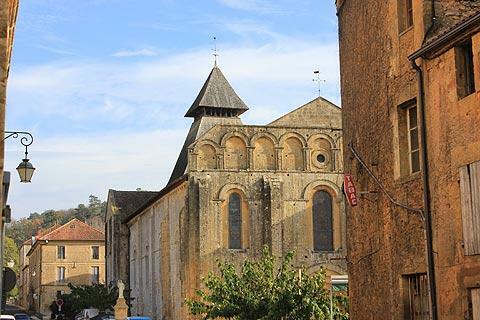 Cadouin is best known for its abbey which was founded by a hermit in 1115 and which in 1119 was given to an order of Cistercian monks. 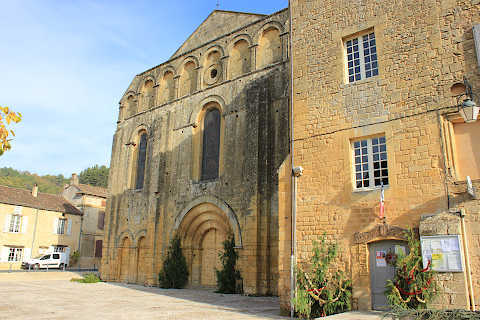 The church and buildings were constructed during the middle of the 12th century. See Cadouin abbey for details. The Abbey became a major pilgrim destination in the Middle Ages because of a piece of cloth thought to be part of the shroud of Jesus Christ. Pilgrims visiting the shroud included Richard the Lionheart and Eleanor of Aquitaine. In the 1930s the cloth was shown to date from the 12th century and the abbey immediately lost its role as a pilgrimage destination. However, the abbey still continues to attract lots of visitors and the main attraction now is its beautiful gothic cloister and carved capital stones. See cloister of Cadouin abbey for details. 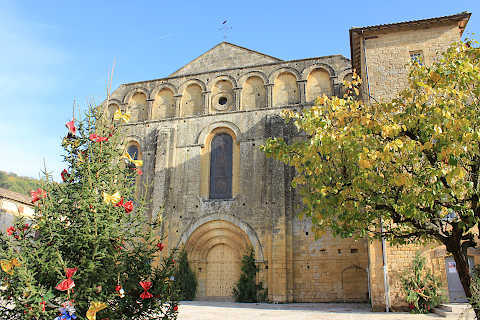 Cadouin Abbey is now listed as a World Heritage Site with UNESCO as part of the pilgrimage route to Compostella. The ‘shroud’ and details of eight centuries of pilgrimages can be seen in a small museum in the Abbey. 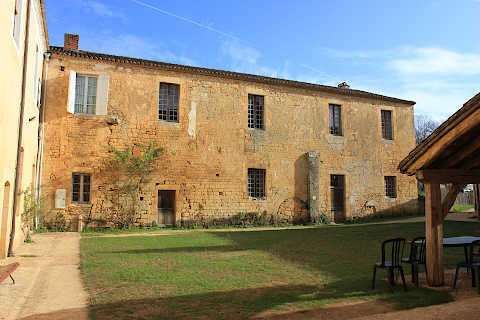 Some of the original Abbey buildings now house a particularly beautiful youth hostel. A viewpoint across Cadouin, that encompasses the abbey and the rooftops of the whole village as well as the surrounding valley, can be found by following the path marked 'panorama' on the hill behind the car park (although trees partially block the view of the abbey, especially in summer, which is a shame). 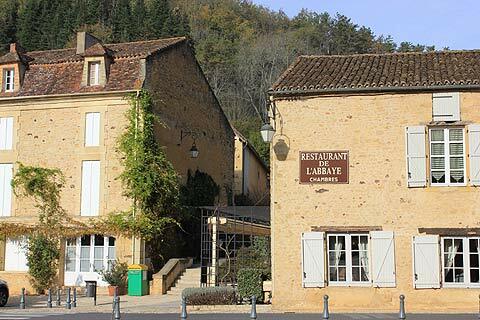 Several other vantage points in Cadouin also overlook the village, for example from the road that goes south from the west end of the village, or by walking along the road towards Belves. An evening market is held in the centre of the village every Monday during the summer, which is a popular event with visitors. 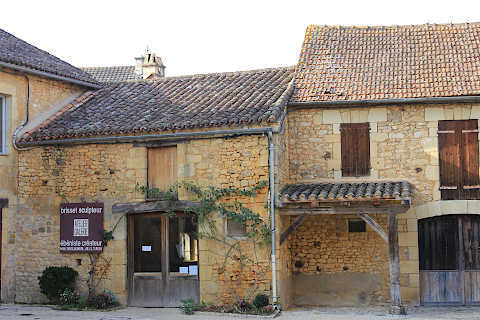 Starting in the centre of Cadouin there is a five kilometre marked walk through the countryside around the village, which takes about two hours to complete and is a lovely way to appreciate the beautiful countryside of the region. 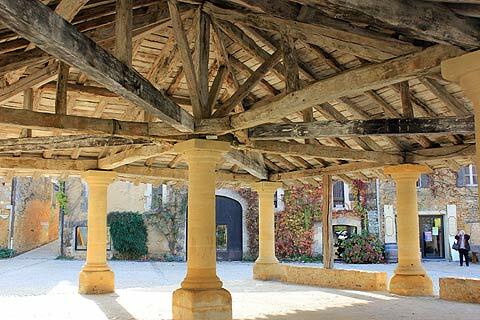 One very small but picturesque little village close by is Urval, and we also recommend you visit the 'incomplete" bastide town at Molieres. Close to Cadouin, you can visit the Grottes de Maxange. Only discovered in 2000, these caves have a particularly impressive selection of rock formations to enjoy, spread out over about 200 metres. The large crystalline sections are very interesting - and all very carefully lit to make the most of the unusual shapes and designs.